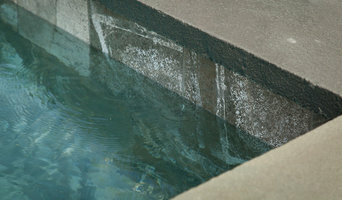 Soake is a builder of luxury pre-cast plunge pools, made for year-round enjoyment. Based in NH, we deliver pools throughout the entire US, and install a higher volume of projects in MA and NH. Order your fully tiled concrete pool from us and let us connect you with qualified landscape professionals to install and finish your project to best enhance your outdoor living space! Spend more time outdoors and enjoy a Soake Plunge Pool year round! Welcome to Yankee Pools, a in ground pool builder that meets the standards upon which the foundations of New England are rooted. The integrity of our designers and craftsmen has been foremost at Yankee since its inception in 1982. Yankee Pools has developed a highly skilled team of craftsmen that are involved through every step of construction. This close knit group performs extraordinarily well together, crafting the various pools, spas, and water features upon which Yankee maintains its reputation of quality, prompt construction practices, and diligent attention to detail, even after the pool is completed. Yankee Pools owns and operates all of our own equipment. This leaves other contractors out of the equation. Being directly involved in almost every step of the building process makes our staff much more knowledgeable, and able to answer your questions as they arise. Precision Pool Construction is a custom in-ground swimming pool design and construction company focusing on innovative vinyl liner pool designs. Using beautiful hardscapes and creative in pool functional features we design pools like no other. 3D Pool Tile manufactures life-like swimming pool mosaics with a surprising 3D appearance. All of our pool mosaics are manufactured here US and are made up of genuine pool tile specifically designed for the swimming pool environment. We make 3D tile mosaics that can go in any pool....even if the pool is full of water! You can liven up an existing pool with realistic dolphins, sea turtles, sharks or rays! No tools needed. Do it yourself! Real tile mosaics encased in a proprietary pool specific rubber. So how is 3D Pool Tile is different? You may have searched for “pool tile” or “swimming pool tile” and found us! We manufacture swimming pool mosaics that are large enough to see from the deck and appear to hover in a pool. Our mosaics are made so that a DIY’er can easily install in any pool; even if the pool is full of water! Beautiful, playful, hand made decorative pool tile mosaics with shadows. Friendly tile turtles, graceful mosaic dolphins, intimidating pool tile sharks, gorgeous hibiscus are a few of the wonderful sea life creations that you saw on our website. In fact, this is how hundreds of people find us every week. Most are completely surprised by the quality of our creative and 3D like designs. Our prices are competitive and our quality can not be beat. All of our pool mosaics have shadow to enhance the 3D effect. We also offer our mosaics mounted within a rubber composite for tool free DIY install for any pool. Even if the pool is full of water. All of our mosaics are now 29″ or larger as our past customers have told us that anything smaller looks fine in a picture , but gets lost in a typically sized swimming pool. Our staff is ready to help you select the perfect decorative pool tile mosaic for your specific type of pool. If our standard product line does not cover your needs, feel free to ask us for a custom pool tile creation of your own. At Gibraltar Pools we pride ourselves on being your trustworthy partner when shopping for a pool, hot tub or sauna that best suits your home and family. Come visit our beautiful Gibraltar Pools, Spas & Saunas Showroom on Route 1 in historic Topsfield, Massachusetts for the largest array of top-of-the-line spas and saunas or call us to schedule one of our "Free Backyard Surveys" with a Gibraltar Pools specialist! Paquette Pools & Spas is a fourth generation, family owned and operated swimming pool construction and retail operation. Started in 1923 by Phil Paquette, the then Paquette Construction Company built commercial structures such as bridges and institutional buildings. Later, Paquette Construction became Paquette Homes and Construction which built quality residences recognized as some of Manchester and the surrounding areas best built homes. To this day, when a home built by the Paquettes is advertised for sale, the ad will often include a statement that the home is a Paquette house, which is a testament to the quality of workmanship and overall construction that it maintains today. In 1957, Gerry Paquette, son of founder Phil Paquette, wanted a swimming pool at his home. The very first “Paquette Pool” was built in Gerry Paquette’s yard. Paquette Homes and Construction branched out to include in-ground swimming pools as part of its business. In the nineties, the Paquettes decided to focus on building and servicing quality in-ground swimming pools. In conjunction to the in-ground pools, a beautiful showroom was established in Hooksett to sell swimming pool accessories including spas, chemicals, and outdoor furniture. It was then that Paquette Homes and Construction became Paquette Pools & Spas, a name it still maintains today. Bud and Phil Paquette are the third generation to own and operate the Paquette business and have been doing so for over thirty years. Joined by five of their children who are now the fourth generation; Bud, Phil, and the entire Paquette family are dedicated to offering the highest quality swimming pool construction and service as well as related products in the region. What exactly do Weare pool builders do? If you are planning for a new pool in Weare, NH, a swimming pool builder will analyze your outdoor space and your aesthetic wishes to determine an appropriate design for your yard, installing it once the plan is developed and approved. Once installed, some pool companies in Weare, NH can handle the necessary cleanings, water testing, renovations and equipment replacement or repairs for your pool or spa. If not, many can also suggest Weare, NH swimming pool contractors or maintenance services to help with upkeep or repairs down the road. Here are some related professionals and vendors to complement the work of swimming pool builders: Garden & Landscape Supplies, Landscape Architects & Landscape Designers, General Contractors, Landscape Contractors, Solar Energy Contractors. Before hiring a swimming pool construction company to create your new Weare, NH pool, determine how you'll be using it. Will it be for fun or for lap exercise? Will the primary users be children, adults or a mix of the two? Knowing the use can help you find Weare pool builders who shares your aesthetic. Once you find swimming pool builders in Weare, NH who share your style, research is critical. Review customer references and comments, collect at least three to four estimates to compare, meet with potential Weare pool designers and builders in person and ensure that they are New Hampshire certified service professionals and licensed with the registrar of contractors before making any final decisions. In addition, get a sense whether they plan to complete the pool installation and be done with it, or whether they seem interested in building a long-term relationship with you. Be wary of the former: it's likely a reflection on the level of quality of the pool construction they do. Find a Weare pool contractor or designer on Houzz. Narrow your search in the Professionals section of the website to pool builders in Weare, NH. You can also look through Weare, NH photos by style to find a pool or spa you like, then contact the local pool company who designed it.